This site just got updated on Thursday, May 8th, 2003! Next expected update: Our new pop-up free site is on the way! Stay tuned! 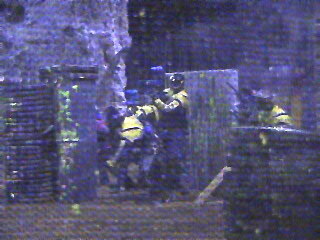 *"PBoT news release, Jeb's PB club, news from 2003 Paintball Expo, Draxxus IAO news, Outlaws practice/tryouts coming up, Paintball #1 growing sport in 2002, the 2nd International Introduce a Woman to PB weekend on May 10th-11th, Paintball Valley will be throwing a Scenario Game entitled "Halo" on May 17th, on Sat. 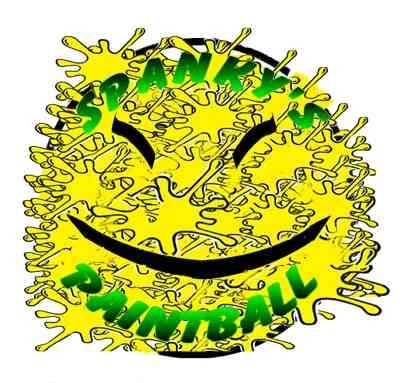 May 10th Spankys Paintball is having their Crusade for Children tourney, Paintball Fun's monthly league continues on May 10th, Toledo Indoor PB's "off to IAO" 5-man tourney is on May 10th, on May 17th the High School PB National Championships will be held at Challenge Park, on May 18th the ICC/PMI Summer Series continues at PB Outfitters, also on May 18th Toledo Indoor PB's 3-man beginner tourney is scheduled, Toledo Indoor PB's "off to IAO" 3-man is scheduled for May 24th, on Sat. May 31st the PB Barn is having their $1000 3 on 3 tourney, from May 31st-June 1st On Target Entertainments 7-man Evil Heartland Series continues, new member Jesse Pontius offers free airsmithing to members, AKA press release, interview w/ X-Ball commissioner, Ultimate Madness III trade show, JT's new web site, PBOT & the ICC are currently working on a BigGame, NCPA league, the Angel Speed, PSP LA Open news, Outlaws currently looking for tourney & rec players, NPPL Super 7 in Vegas, Ultimate Madness 3, Paintball Valley releases "Halo" storyline, the Outlaws teams new web site, WGP & Naughty Dogs new forum, the NCPA National Championships, Bea Youngs & Mike Paxton on Fear Factor? !, B. Real & Everlasts new pb team, on Sun., new pic site being worked on, Bloomington Paintball & Airsoft Supplies new hours, news on Spplat Attack 2, Kaner barrel system, World Record Paintball, Op-For paintball practice, Team Maxim, new Ohio club sponsor: Paintball City!, Paintball Valleys 3-man league results, the Outlaws are looking for 1 serious tournament player to complete the 1st 2 teams, the Outlaws are also looking to start up a 3rd team, PB o'Tomorrow's Sceanrio questionnaire & Member forms will be back on-line soon, PSP LA Open news, finally a commercial for a paintball tournament, Bea Youngs interview on Canadian tv, the Mardi Gras Open trade show and tourney info, Wicked Jesters article, NCPA tourney, Purdue is currently ranked as #1, NXL team web sites, the Ultimate Madness, WGP trademarks, teens/players/heroes, Action Markers press release, the Viewlodaer Quantam, VBR/PV's Quadzilla is scheduled for Aug. 17th, "Beyond the 50" DVD is out, Skyball 6 news, X-Ball field kits are available, interview w/ Ryan Williams of Aftershock, a new Indiana field sponsor: Catfish Lake Family Fun Center, our stolen page was unfortunately updated, Team Strange to represent the USA, Ged Green interview, "Splat Attack" movie review, APL/NPS Series news, Gen E's new web site, Paintball Valley & Wayne Dollack are having a Scenario Game on Aug. 2nd & 3rd entitled "Icarus", International Amateur Open dates & site, go to Paintball Camp!, membership costs were recently lowered!, Bea Youngs contacts us, NPPL was hacked, PanAm Finals on PigTV, Bea Youngs articles on sponsorship, Paintball Fun's/Black Cat Prod. Scenario Game scheduled for June, the Prairie State Games in Illinois, the World Cup sniper speaks, paintball timers, Jawbreaker II video hosted by Rocky, new field in a cave: Underground Paintball in Indiana, Ricochet UV loader review, Baltimore imposes fines & imprisonment, Empire Twister barrel, the IPPI, Toulouse 2002 video, team prices at the Paintball Barn, sign this paintball petition, the Board & Members Meeting will be scheduled for mid-May . . .!" The Bulletin Board was last updated on: 5/8/03!! *A new event was posted on: 5/8/03! Get you or your team's picture on our site by coming out and playing with us or by playing at the future tournaments & events we attend. 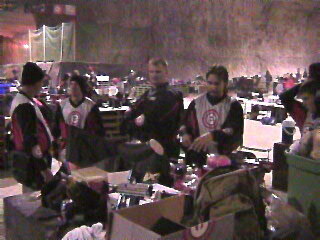 We tape some of our practices and most Events. We will eventually be offering copies of the events we attend at fair prices to make a little profit for the club. Copies will currently be limited until we can afford a better set-up. If you think you'll be interested in these, click here for our contact information. *You can now become a Member! Fill out our on-line membership form & then mail us your check or money order! *Free Team Bios are now being offered to all Club Members! *Our 1st picture site is now complete! These pics run from 2000 to July of 2002. *Our 2nd pic site is now underway! 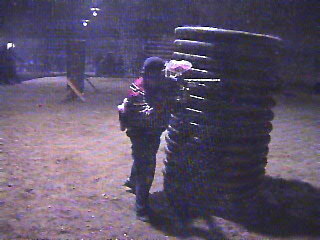 New pics were added on: 3/7/03!! *New links were added on: 5/8/03!! 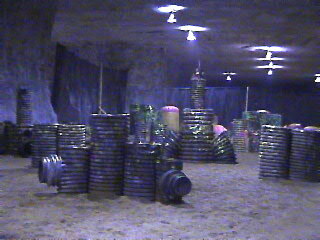 This is a shot from Underground Paintball during our visit on March 2nd, 2003! Do you want to be e-mailed when this page is updated? Your e-mail address will never be shared with anyone period. Just drop me an e-mail if you are interested! 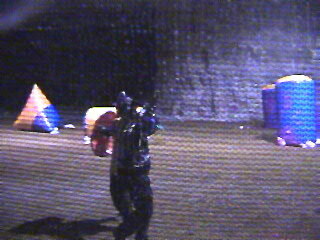 Here's a shot of F'n Hostile on the break at Underground Paintball on March 2nd, 2003! All of the pictures you find on our web sites were taken by our treasurer & teammember of the Outlaws, Christian. If you are looking to have videos or pictures shot, Christain is available by phone. Click here for his info & feel free to contact him! I apologize for the pop-up ads. As a club, we will hopefully be doing away with those as we acquire new members & receive more funds. Then we will vote to make our site more enjoyable and less annoying for you (& me)! Click below to share us with your friends!! !